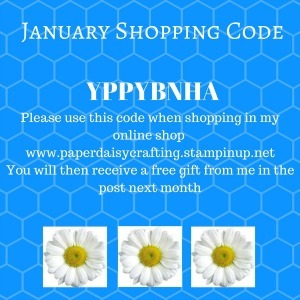 Paper Daisy Crafting: Thank You cards with Oh Happy Day Card Kit from Stampin' Up! Thank You cards with Oh Happy Day Card Kit from Stampin' Up! Hi everyone and welcome to my first post of 2018. Hope you all had a fab New Year's Eve! A few days ago, during that strange limbo time between Christmas and New Year I decided I needed quite a few thank you cards to send people to thank them for my lovely Christmas gifts and so decided to make up one of the card kits from the Annual catalogue. I had such a great afternoon and actually made up all the cards from two kits, so 40 cards in all! I won't be running out of thank you cards any time soon! This is the illustration of the kit from the catalogue which shows twenty cards that you can make using just the contents of the kit. However, I didn't follow the instructions - I went "off piste" and just made up the cards as I felt like. 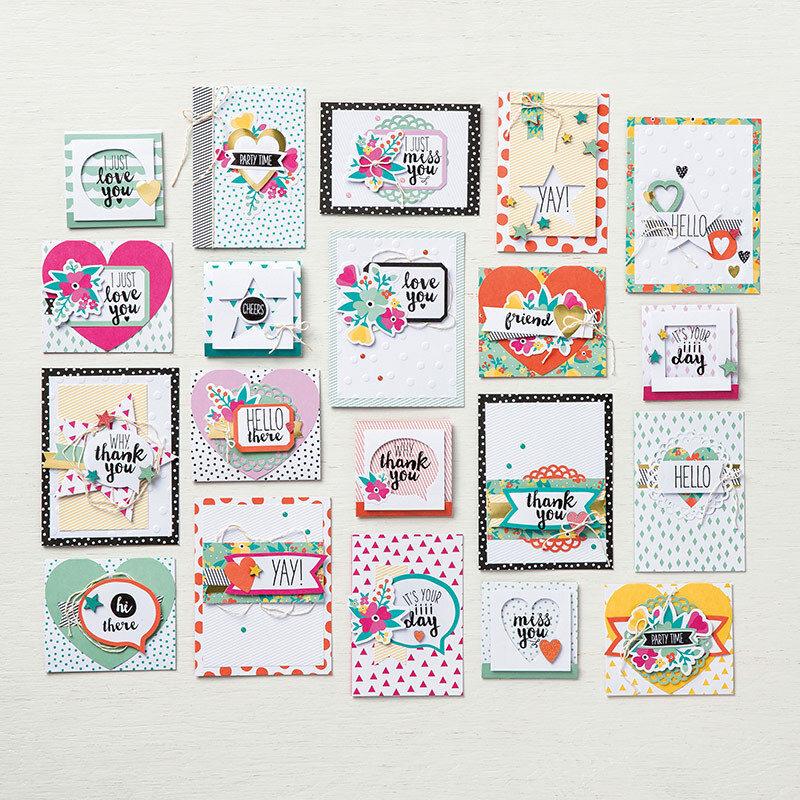 What is really lovely about these kits is that they are completely inclusive - everything you need including the stamp set, ink pad and clear block but of course, if you want to add anything extra from your stash you can do! I have used a couple of additional stamps from other sets and just a few other embellishments. So here are the cards I ended up with - as I said nearly all thank yous, as that was my mission! Sorry about the quality of the photos - so difficult to find any good natural light at this time of the year! I've made a very quick little video to show you the cards a bit more close up. Click on the link here or the image below to have a look. Back soon with lots of projects using new products from the new catalogue, including another all inclusive card kit which is the best one they have ever produced!